When I press ALT+ENTER in a pom file, a Generate menu appears. This menu contains an item called "managed dependency". 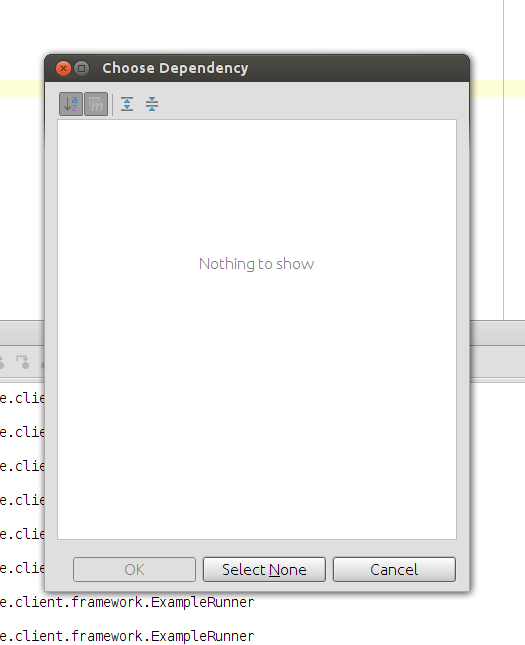 When I choose this item, an empty dialog box called "Choose Dependency" appears(see attachment). And I can't do anything with this dialog box. What is managed dependency? And how can I use it? Managed dependency is a dependency defined in <dependencyManagement> section of pom.xml . You pom.xml has no managed dependencies so dialog is emply. I thought this as a dependency template manager. For example, when I choose "gwt-bootstrap dependencies", Intellij adds related dependency definitions into my pom.xml. That would be a nice feaure, isn't it? I would not have to remember, or copy/paste dependencies from previous projects.